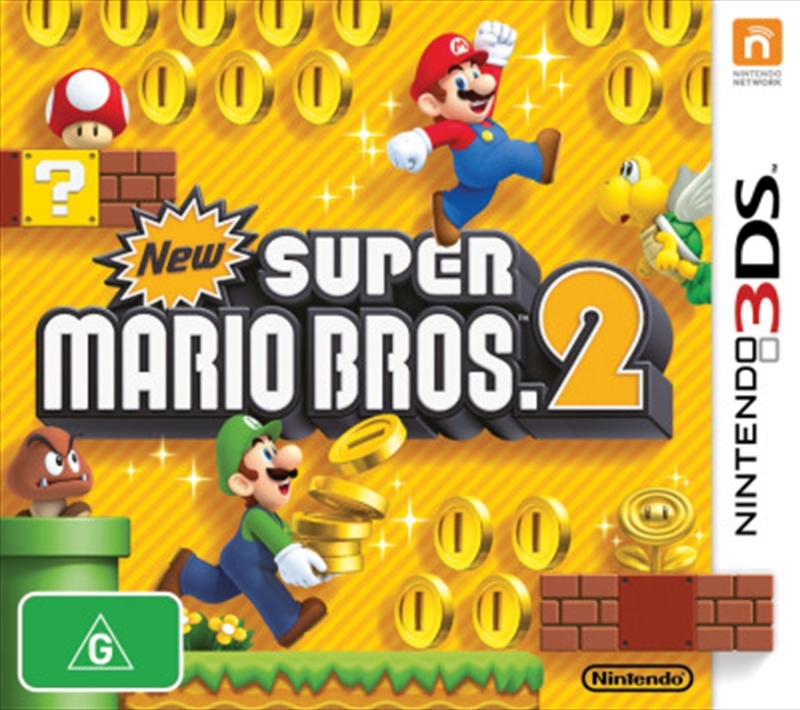 In New Super Mario Bros. 2, the Mushroom Kingdom is bursting at the seams with an endless flow of gold coins for you to collect. Fly to dizzying heights with the return of Raccoon Mario, and grab the new Gold Flower that lets you turn almost anything in your path into coins. Explore levels filled with gold pipes leading to coin-filled caverns, gold enemies leaving behind trails of coins, and new items that will push your coin count into the stratosphere. Team up with a friend for local wireless multiplayer, and challenge friends via the StreetPass feature in Coin Rush mode. Get ready for the gold standard in platforming funonly on Nintendo 3DS!